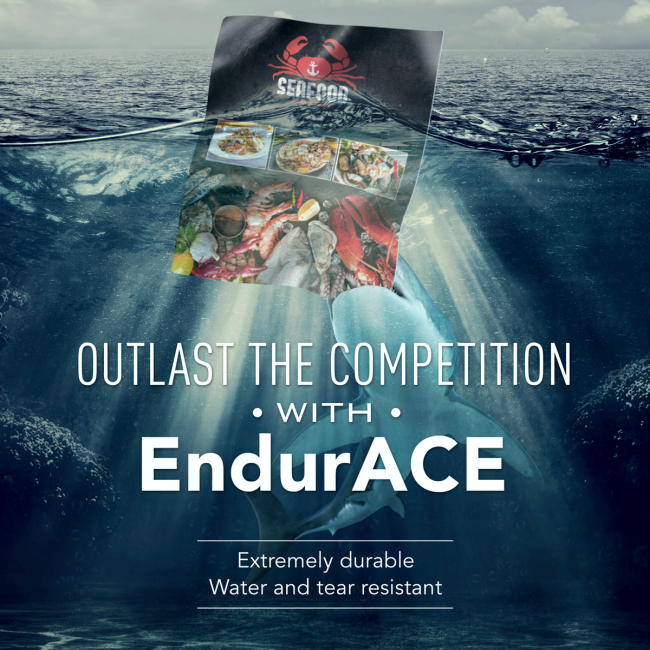 EndurACE is a truly unique product!!! 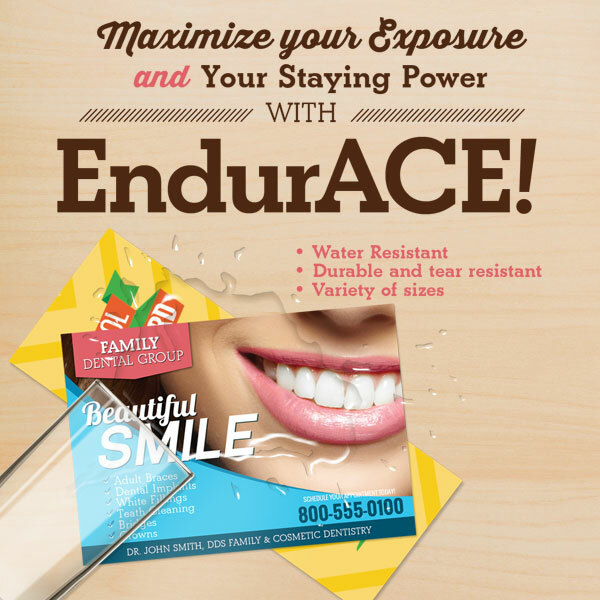 Give your customers a synthetic stock that can outlast ordinary paper with our highly durable EndurACE paper! 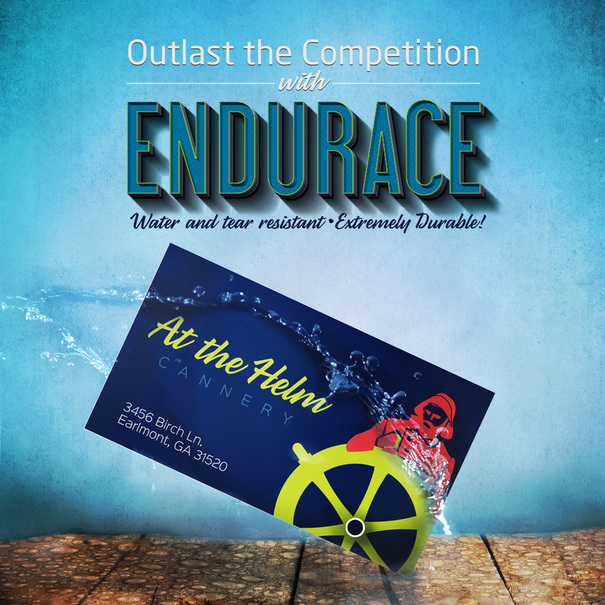 EndurACE is composed of materials that make it waterproof and ultra resilient, giving it the durability to last for many years. It will give your customers the ability to get maximum exposure out of each card. 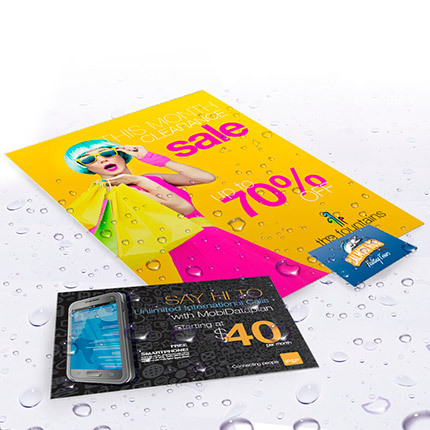 They are great for restaurant menus, emergency services, insurance cards, business cards and many other creative ideas.